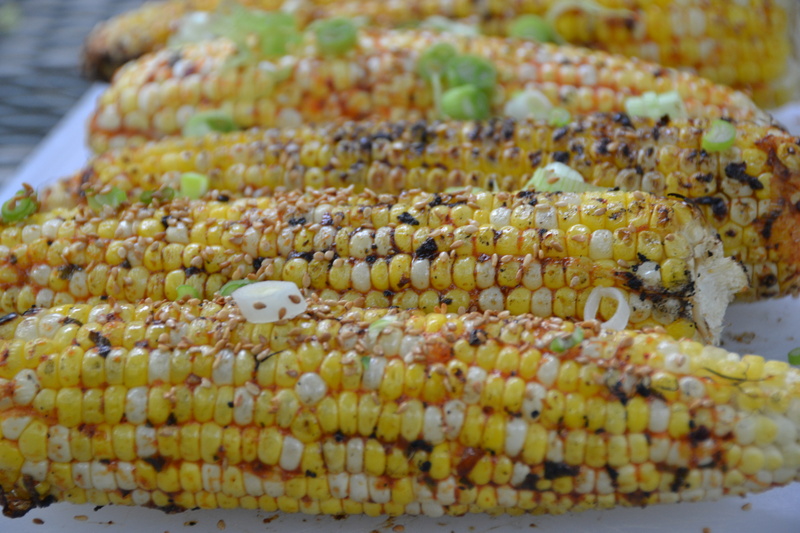 I love grilled corn on the cob and this is my favorite recipe yet! I’m not exaggerating when I say I ate three ears last night and could have had more. The salty, spicy glaze compliments the sweetness of the corn and the toasted sesame seeds take it over the top. I made the corn to go alongside a bacon-wrapped pork tenderloin as you’ll see in the pictures below. This was an experiment that I’m not sure I’ll re-make because while the pork was flavorful and juicy, the bacon burned to a crisp on the grill. Next time I’ll do my bacon-wrapped pork in the oven…but this corn I will make again and again….